We Cash Cars » Blog » Wrecking » Where to Sell My Junk Car? Are you tired Where to Sell My Junk Car? Junk cars do not just take up unnecessary space in your vehicle but are also hazardous to the environment. Why dump it when you can sell your scrap car for cash? If you’re looking for cash for car services in Brisbane, this is precisely the place for you! Sell My Junk Car personally can be a huge task. It might require you to invest in expensive advertisements. Also, the car dealers tend to charge a commission for selling your car. If you want to avoid the uninvited expenses, we cash cars Brisbane will come to your rescue. We are the top car buyers in Brisbane and assure you the most competitive prices for your junk car. If you’re wondering how to sell your scrap car to us, the process is straightforward. We buy all makes and kinds of cars and other vehicles. Cars, SUVs, trucks, motorcycles, boats, RVs– you name it, and we buy it! Besides that, your vehicle can be in any condition, and we will pay cash for it. It can be junk, broken, damaged, flooded or even accidental. We offer top cash for your car irrespective of its condition. Give us a call and provide all the details of your car. Make sure you will pay the correct information to get a high quote. We give a free quote for your vehicle considering the make, model, brand, and condition.You can also get a web quotation by filling a form online. We also inspect your car for free. 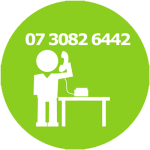 Do not think twice and give us a call today because we provide a free quote. Our skilled car wreckers reach out to you within 24 hours of your call. 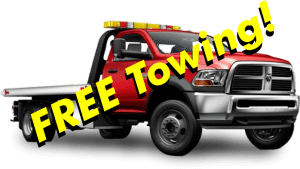 They tow your car away without causing any inconvenience and chaos.Besides that, our towing services free of cost! We do not charge for any of the facilities that we provide. We Also Arrange paperwork for You. Hence you’re just a call away from a hassle-free experience of selling your junk car. Don’t worry about the payment at all! We will pay in cash on the spot. Our customer does not have to face any issues with the debt. 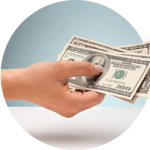 We will also pay you a generous amount of money right at the time of the service. Finally, to sell my junk car and get instant cash, contact we cash cars Brisbane. We are the most reputed and fully licensed car disposal company in Brisbane. We Cash cars Brisbane also buy your junk car and offer you the Highest cash for it. For selling your Unwanted vehicle without any hassle, call us today! 07 3082 6442 We Also Provide Free Towing Service.